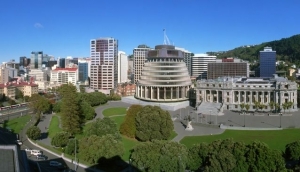 If you're new to the city, it makes sense to take one of the excellent Wellington Tours which are geared up to show you the best the city has to offer. They're also a good way of finding your bearings. Wellington Tours are impressively varied. A good budget option is the hop on-off city bus tour. You can do walking tours of the city centre, anything from one hour hops, to comprehensive half and full day options. You can match a tour to your particular area of interest - culture tours, art gallery tours, Maori culture tours, food and wine tours. There are so many tailor-made operators, you might find yourself booking two or three different ones while you're here. Lord of the Rings movie tours are very popular, and literally take you into another world. Take a heritage or garden guided tour, and see the wealth of wildlife and flora that's hiding right in plain sight in the middle of the city. Driving and boat tours will take you out to vineyards, nature reserves, mountains and valleys. If money is no object, go for one of the luxury tours, which transport you around the region in luxury cars, and throw in gourmet lunches and transfers from your accommodation.